Pat Narduzzi’s team knew they would have to play mistake-free football if they wanted to come out of Beaver Stadium with a win. Pittsburgh quarterback Max Browne’s first throw of the game ended up in the hands of Grant Haley, one of three turnovers for the Panthers on the day, as Penn State got revenge on their in-state rivals, winning 33-14 in the Keystone Classic on Saturday. 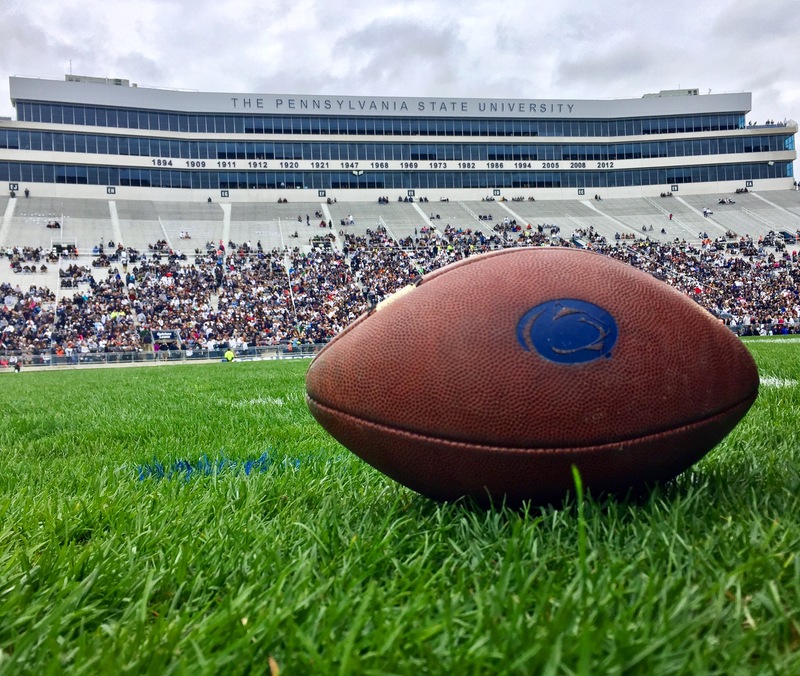 Trace McSorley opened the scoring with an 8-yard touchdown pass to Mike Gesicki, and followed that up with another 10-yard strike to Gesicki, and Penn State led 14-0 after the first quarter. With his 10th and 11th touchdown catches, Gesicki is one touchdown shy of the school record for a tight end, set by Jesse James (2012-14). The first half barely saw the Nittany Lions on offense, as they held the ball for only 8:09, getting 24 plays off. Pitt’s offensive inefficiency was the story of the half, as five of their first six drives ended with a turnover or a punt. They were able to get on the board with an Alex Kessman 28-yard field goal just before halftime. Franklin commented after the game about the first half. After a three-and- out to open the second half, Penn State was finally able to convert a big play for a score on the next drive, with McSorley finding Saquon Barkley (133 all- purpose yards) for a 46-yard touchdown to put the Lions up 21-3. Pitt would respond with a Kessman field goal from 24 yards out, after Penn State stuffed the Panthers offense in the red zone. After a Barkley 8-yard touchdown run, Pitt responded with Ben DiNucci running for a touchdown from 3 yards out. would be enough to get the win and move #4-ranked Penn State to 2-0 on the season. The Pitt-Penn State rivalry is one of the oldest in college football, with this game serving as the 98th between the two teams. No love is lost between the two, especially after last year’s dramatic 42-39 win by Pitt at Heinz Field that probably kept Penn State out of the College Football Playoff. Franklin will continue to employ the strategy of being “1-0 this week” next Saturday when his Nittany Lions take on Georgia State next Saturday night under the lights at Beaver Stadium.